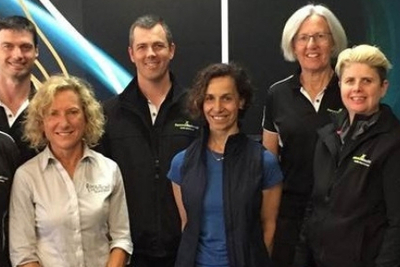 Kate Palmer, CEO of the Government agency Sport Australia used the FILEX Women of Influence Forum as a platform to throw Sport Australia’s support behind a partnership between the agency and Fitness Australia. 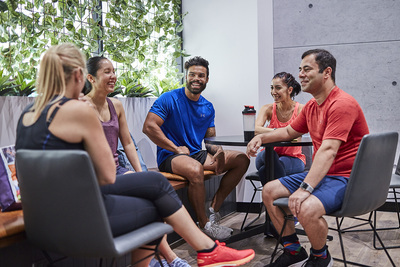 “We were really pleased to hear your new strategy was demonstrating a shift into this physical activity space,” Kate told Barrie Elvish CEO, of Fitness Australia –the peak national industry association - in a post-Forum interview. “For me it’s about how can we partner with you (Fitness Australia) to look at opportunities, because your professional workforce is predominantly female and we’re very much skewed to male, and we need feet on the ground nationally, and you certainly have feet on the ground,” said Kate. With a particular focus on your children, both Kate and Barrie agreed that teaching young children to run, catch and jump is so important because the reality is that many children start school not having the right physical-movement foundations. “The opportunity that we have right now, in getting the foundations right through early childhood settings, is critical,” said Barrie. This is simply one step in a series of initiatives that will support Fitness Australia’s primary goal. Kate acknowledged that Sport Australia and Fitness Australia now share a strategic alignment; the next step is to align business planning to achieve our common goal. 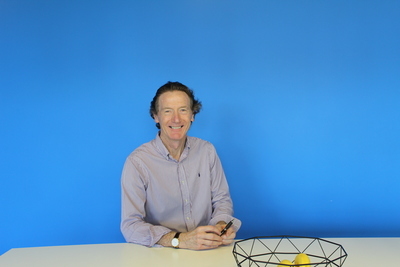 “I believe this scenario represents a once in a lifetime opportunity for Fitness Australia and our members, to have a significant and long-lasting positive impact in the non-exercising Australian community,” adds Barrie. Fitness Australia has an integral, and important, role to play in this initiative at a national level through effective advocacy underwritten by evidence-based research, a professional membership base and high-quality accessible facilities. Are you providing effective & appropriate nutrition advice to your clients? There's currently an expectation amongst consumers for fitness services to be coupled with nutrition advice, particularly with regards to weight management and dietary supplementation. This has created a need for Registered Exercise Professionals (REPs) to find the balance between providing an appropriate level of nutrition advice to the client, without providing information beyond their scope of practice. Throughout the seminar you’ll hear from a variety of experts including, fitness business owners, exercise professionals and dietitians. 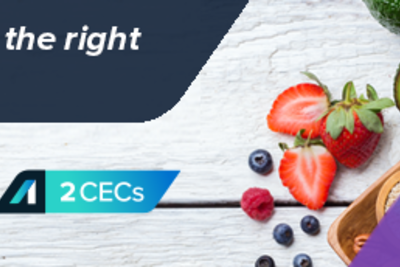 With this in mind, we've developed an online course, Effective & Appropriate Nutrition Advice (Guidance for Registered Exercise Professionals), in collaboration with Dietitians Association of Australia and Sports Dietitians Australia. The course can be completed at any time, on any device via our online learning platform, iLearn, and is approved for 2 CECs. This seminar is designed to inform exercise professionals of the opportunities that exist when providing nutrition advice. Additionally, this provides business managers and industry educators the opportunity to clearly understand the role of REPs and the value of working collaboratively with dietitians in the fitness industry. The benefits of working in collaboration with allied health professionals. 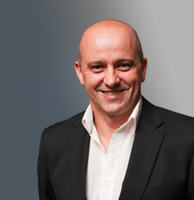 Joel Perricone, National Manager, Advocacy and Partnerships, Fitness Australia – the peak national industry association - has been invited to attend the second World Health Organisation (WHO) Dialogue with the Sports Industry on the Implementation of the Global Action Plan on Physical Activity 2018-2030, to be held in Geneva, Switzerland, from 25-26 February 2019. “It’s a tremendous honour for me to be taking the opportunity to showcase the great work of the Australian fitness industry in front of a global audience,” says Perricone. 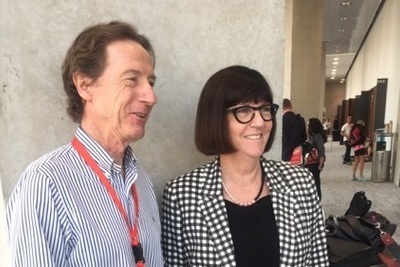 “I hope to come back from Geneva with ways that the Australian fitness industry can impact the health of the global population,” explains Perricone. Regular physical activity is proven to help prevent and treat noncommunicable diseases (NCDs) such as heart disease, stroke, diabetes and breast and colon cancer. It also helps prevent hypertension and obesity and can improve mental health, quality of life and well-being. Yet, much of the world is becoming less active. 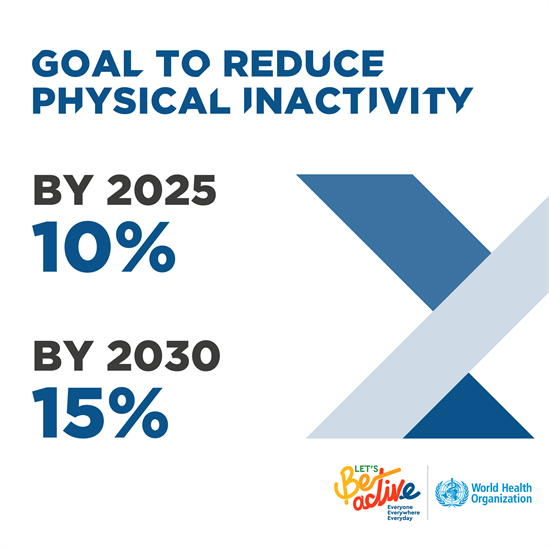 WHO has developed a new global action plan to help countries scale up policy actions to promote physical activity. It responds to the requests by countries for updated guidance, and a framework of effective and feasible policy actions to increase physical activity at all levels. 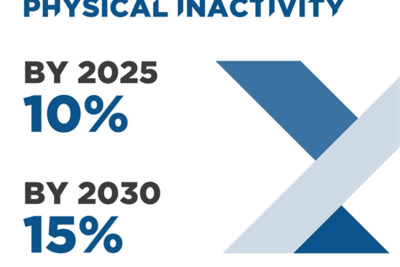 The plan sets out four objectives and recommends 20 policy actions that are applicable to all countries and address the cultural, environmental and individual determinants of inactivity. The objective of the second Dialogue is to further discuss emerging areas of shared interest as identified during the first Dialogue: 1) building knowledge (through evaluation and market research); 2) global communications campaign on physical activity; 3) joint initiatives to address priority issues and population such as inequalities in participation by girls, women, disadvantaged communities and people living with disabilities; and 4) joint initiatives to demonstrate whole of community approach to GAPPA implementation in a set of target countries. The second Dialogue will be hosted by WHO. Participation in the Dialogue is through invitation only. Participants will include about 20 representatives from the sports industry, including apparel, equipment, fitness and gym industries, and senior WHO officials. 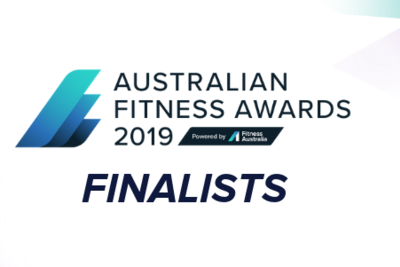 We've revealed the 2019 Australian Fitness Awards finalists across ten award categories, covering emerging exercise professionals, individuals delivering exercise, businesses providing fitness services and community exercise programs. Fitness Australia, the national peak industry association, has expanded its Continuing Education System by introducing new ways for Australian Registered Exercise Professionals (AusREPs) to obtain Continuing Education Credits (CECs) - all in an effort to inspire continuous upskilling through credible education which in turn keeps Trainers and Instructors up to date with the latest modes of training, develops career pathways and brings them up to scratch with industry standards. Enterprise Fitness Australia is one of Melbourne’s leading personal training studios that turns its member’s fitness goals into reality by making health and fitness a part of their lifestyle, through education. Visit melbournepersonaltrainers.com for more information. Our office will be closed from midday Friday 21st December 2018, but will re-open on 2nd January 2019. Thank you for your support this year, we've loved every minute of it, and look forward to achieving great things with you in 2019. 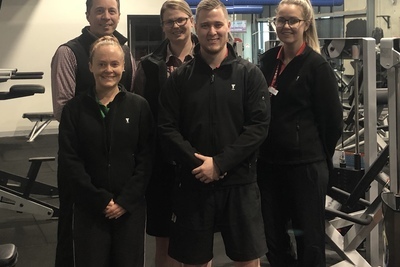 University-based Fitness Centre, Monash Sport, has recently showcased their commitment to excellence by completing the Fitness Australia Quality Accreditation Program. “At Monash Sport, we pride ourselves on offering a welcoming and inclusive training environment, facilitated by friendly and passionate staff. We have always placed an emphasis on workplace culture and values, and the accreditation process reaffirmed we are on the right track with our business model and overall operational focus” adds Howes. The Quality Accreditation Program by Fitness Australia, the peak fitness industry association, is designed to continuously build on the quality of a fitness business, with customer care and value being the ultimate goals. 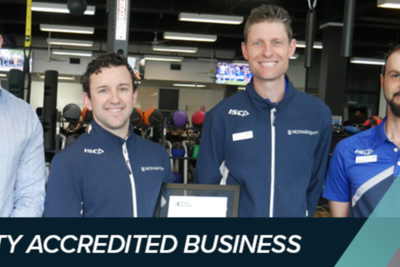 Tasmanian based Personal Best Fitness has become the first in the state to achieve Fitness Australia Quality Accreditation. The Quality Accreditation Program by Fitness Australia, is designed to continuously build on the quality of a fitness business. Since launching in July 2018 there have been seven Australian businesses who’ve achieved Quality Accreditation. “For our team it gives them the confidence they are part of a cutting-edge business that is well respected within the fitness industry” adds Coombe. Quality Accreditation is the latest addition to an already long list of accolades for Personal Best Fitness who have won a multitude of awards since the business began in 1998. “Taking part in the program reminded us of the need to regularly review our policies and procedures.” said Coombe. “The program enabled us to get a more in-depth view of our business. Working through the customer feedback and the Likert scale survey gave us a greater understanding of how our business was operating and allowed us to make small adjustments where necessary.”. FILEX 2019 designed to inspire those who inspire movement. Early Bird tickets available now! FILEX, powered by Fitness Australia the peak fitness industry association, is the leading and most long-standing annual fitness conference in Asia Pacific. 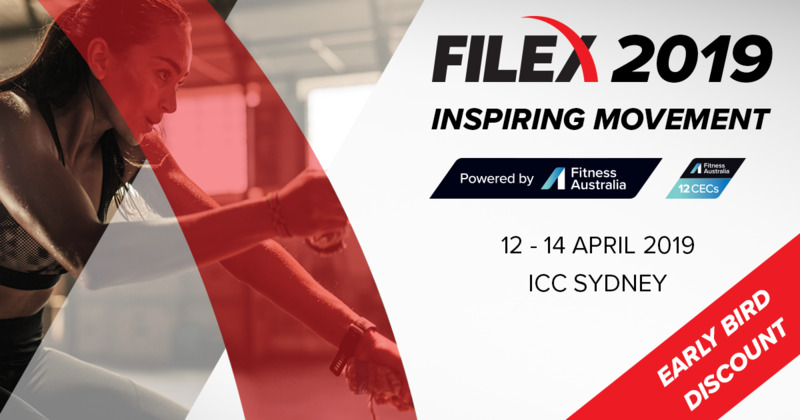 In 2019 FILEX will be held at the ICC Sydney from 12th to 14th April. “Here at Fitness Australia we're excited about bringing credible learning, industry experiences and a unique energy together to make FILEX an amazing industry event,” says Jayne Blake, Chairperson of Fitness Australia. “How amazing is it be to be able to gain new inspiration, expertise and motivation that flows on to client results and business successes? !” adds Jayne. 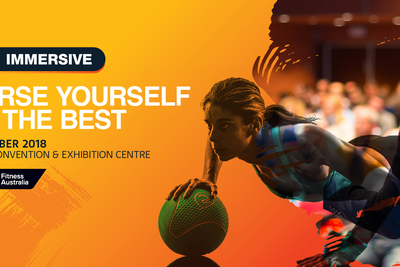 The three day education convention is packed with over 250 education sessions delivered to almost 1500 fitness professionals, business owners and managers who come together to learn, network and socialise. Fitness Australia AusREPs and Members receive discounts on all FILEX tickets. Early Bird tickets are available now with a saving of $140 on a FILEX Gold Pass. "We're thrilled to be offering our AusREPs and Members exclusive discounted rates to such a large-scale credible industry event," adds Jayne. Today Fitness Australia, the peak fitness industry association, released a National Fitness Industry Code of Practice, the first of its kind in Australia. Jayne Blake, Fitness Australia’s incoming Chairperson explains that the consolidation of all State and Territory Codes of Practice into one national Code is a major milestone for the fitness industry. 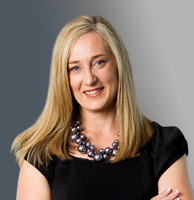 “We took six previous state and territory codes of practice, the Fitness Australia Business Principles guide, current Australian consumer law and extensive industry consultation as reference points to draft the National Fitness Industry Code of Practice,” said Jayne. 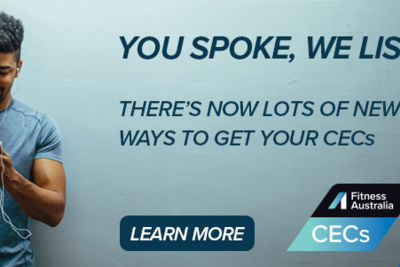 Designed for fitness service operators in the industry, the Code offers clear guidance that meets legislative requirements for business operation, nationally. The purpose of the Code is to promote appropriate standards of trading, inspire consumer confidence and enable business operators to conduct services in a professional and ethical manner. 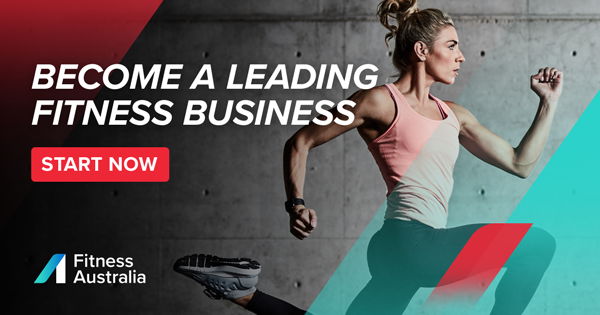 “It’s important that we, as the peak national association, help fitness businesses implement a benchmark and make it simple for them to apply the Code to their business, in particular streamlining it for implementation on a national scale,” said Jayne. “Our organisation exists to empower the industry to engage more Australians in quality health and fitness services – this is one the ways in which we’re contributing to professionalising exercise and building consumer confidence,” added Jayne. Check out the latest HR requirements in your dashboard - Modern Award Wage Update on Termination Payments, Changes to Long Service Leave (VIC Only) and the Introduction of Casual Conversion. Goldfields Oasis keep lifting their game, now having achieved Fitness Australia Quality Accreditation - a program designed to analyse and improve key business areas – to ultimately benefit a community of members. 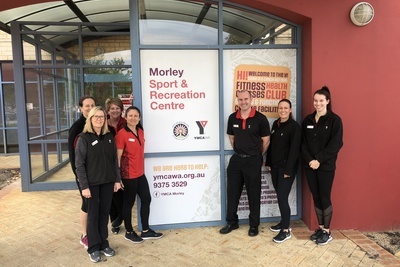 “Getting accredited is a great way for us to demonstrate the high quality of fitness services, customer care and business standards we provide for the local community,” says Andrew Mundy, General Manager – Operations at YMCA South Australia. Fitness Australia, the peak fitness industry association, today announced that Jayne Blake, who recently joined their Board of Directors as an appointed member, will take office as the Chairperson at the Annual General Meeting (AGM) in November. 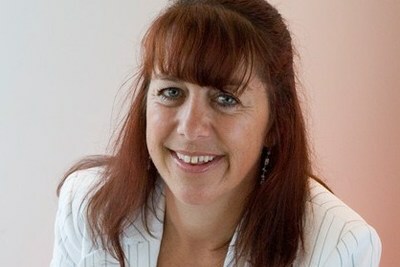 “Jayne brings years of experience in the commercial and not-for-profit sector. Her appointment to the board and election as Chairperson will assist the association greatly in providing strong governance, as well as assisting the future development of a strategic plan that is aligned to the needs of the association and industry at large,” said David Allan, who will be retiring from his role as Chairperson and a member of the Board at Fitness Australia’s upcoming AGM. 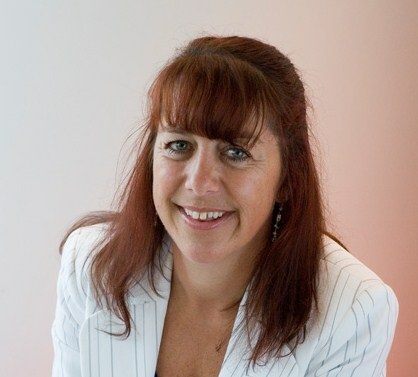 Jayne Blake specialises in assisting people and organisations to effectively plan for, and drive personal and business growth. “I have always been an avid consumer of fitness and I’m passionate about the industry. I’m excited and proud to have the opportunity to play a key role in a peak industry body such as Fitness Australia,” said Chairperson elect, Jayne Blake. “On behalf of Fitness Australia, we thank David Allan and Kristen Green, who are both retiring from the Board, for their dedication to enhancing the fitness industry. “We also thank Kristen Green, an international award winning business woman, whose tenure has spanned ten years. Her involvement has included serving on the Fitness Australia Board of Directors for four years, Fitness NSW Board for one year, and two Fitness Austarlia Councils over a five year period,” an outstanding legacy of dedication to the fitness industry’s peak association Fitness Australia, adds Jayne. Fitness Australia’s Annual General Meeting will be held in Sydney on Thursday 15th November 2018. 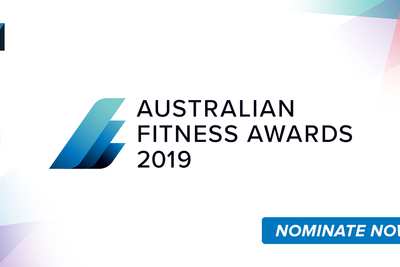 Australian Fitness Awards 2019 Nominations OPEN! Calling All Outstanding Fitness Businesses and Professionals! Nominations are now open for the Australian Fitness Awards 2019 powered by Fitness Australia. 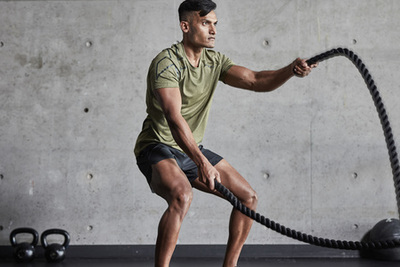 The Australian Fitness Awards 2019 include seven business categories, three categories for individuals and one community award. Notably, the business awards have been redesigned to include new entrants such as Boutique Business of the Year and 24/7 Fitness Business of the Year. 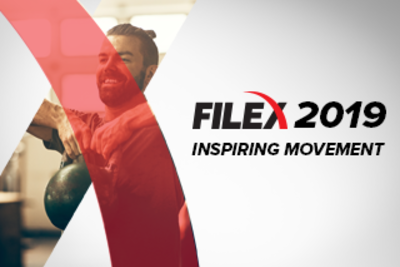 On the back of the wildly successful FILEX convention – the FILEX Immersion Series powered by Fitness Australia, is set to take place this October. Designed to offer opportunities for fitness professionals to deepen their industry knowledge and skills, FILEX Immersive is comprised of two single day events: The Business Owner and Manager Event on Saturday 13th October and the Fitness Professional Event on Sunday 14th October. Designed and targeted for managers, senior staff and owners of fitness businesses. For the professional fitness technician – the day tackles the latest concepts and ideas to achieve greater results and outcomes for your clients. See full program and speakers. Both days will be held at the Melbourne Convention and Exhibition Centre, alongside The Fitness Show Melbourne 2018.